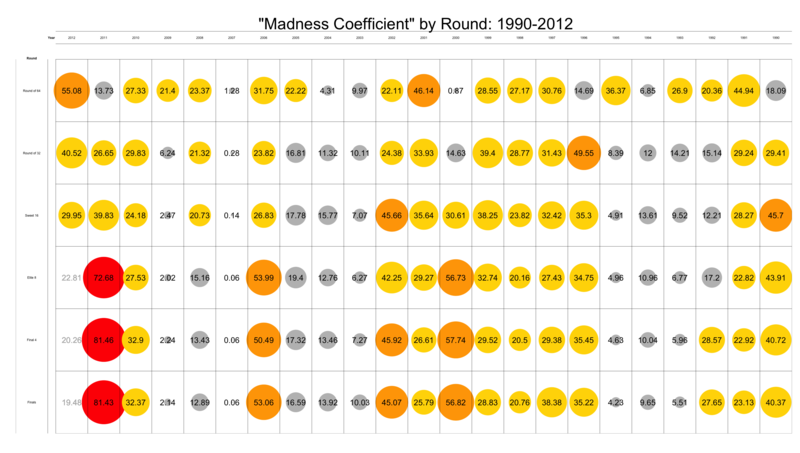 After the craziest start to the NCAA tournament in 20+ years, the madness has died down a bit. The Elite will feature three number 1 seeds, two number 2 seeds, a 3, 4, and a 7. 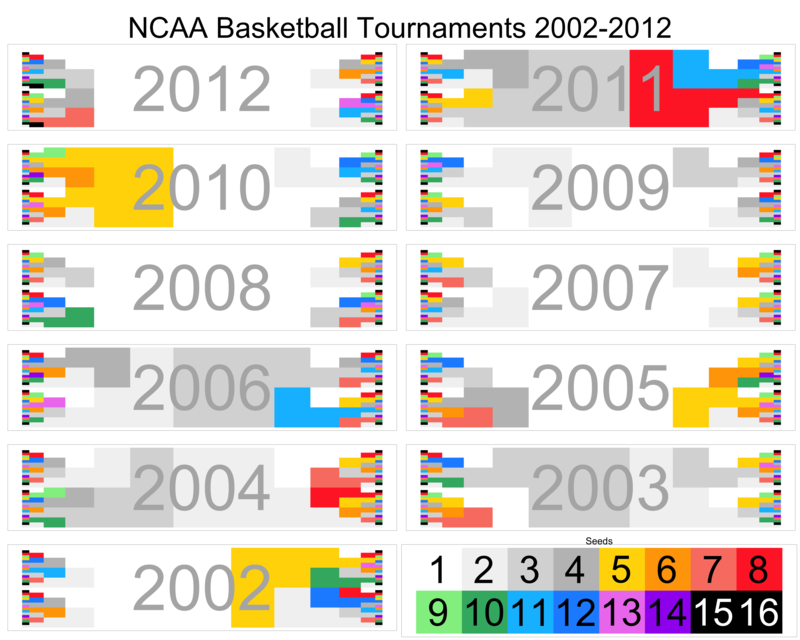 Posted on March 24, 2012, in Basketball, College Basketball, Math Pictures, NCAA, R, Sports. Bookmark the permalink. 2 Comments.